How many members make the line each year? The Arizona Pomline consists of 18-24 talented young ladies from around the country. There is not a set number of young ladies that are selected each year, however we take the best candidates up to 24. The new rookie class is always a combination of ladies from various classes. What are you looking for in a pom line member? We are looking for well dancers that are the overall package. A dancer that is not only a great technical dancer but also has excellent showmanship. All pomline members should be performance ready at all times when representing the University of Arizona (including Auditions). What skills are required for auditions? We highly recommend having a clean triple pirouette, turns in second, leaps, high kicks and jumps. We also recommend strong body control through movements, great showmanship abilities while executing combinations and being able to retain choreography quickly. How can I prepare for auditions? We recommend enrolling in as many dance classes as possible to enhance your flexibility and technique. Focus on clean technique along with great showmanship while executing combinations. Please come to the audition as if you are ready to step onto the field. Is it hard to juggle school and Pom? College in general is a learning experience for time management. Pom is very demanding not just in terms of time commitment, but mentally and physically as well. You will learn how to be organized and responsible to be successful in school. Pomline is truly a sisterhood where everyone is willing help with academics, priority management and is a support system. The Arizona Pomline does not accept video auditions. Our audition process is set up to evaluate the best candidates on the day of auditions. You can email the coach, Adrienne Robertson, at uofapomline@gmail.com with any questions that are not answered here. Thank you for your interest in the University of Arizona Pom Line. The following information pertains to the tryout procedure and future commitments of a UA Pom Line member. We will be accepting applications for the 2019-2020 Arizona Pomline Auditions beginning January 1st, 2019. Please print off, fill out and mail the Pomline Application along with a $30 registration fee to the address listed inside the form. This packet must be post-marked by April 1st, 2019. Otherwise, you may register at check-in where the registration fee will be $35. Audition check-in will begin promptly at 5:30pm on Friday, April 26th at McKale Center, 1 National Championship Dr. If you have preregistered, you will receive your audition number and information packet at this time. If you still need to register, you must fill out and turn in your Pomline Application and a $35 registration fee. The group warm up will begin promptly at 6:00 PM. You will learn a technique combination across the floor, have first cuts and then those remaining will learn the dance routine that will be used for the second cut on Saturday. Candidates will be expected to wear dance attire and be performance ready. This attire may consist of tights and hot shorts or dance pants, and a tight fitting top. Jazz shoes are recommended however you may wear whichever shoes you feel best dancing in. The first cut on Friday evening will be based upon the combination across the floor. The combination will be about 2 or 3 eight counts repeated. It may include a triple turn, split jump, and/or other dance moves. Dance Technique Criteria only will be used for this cut. The second cut on Saturday morning will use all criteria. You will perform the routine learned on Friday night as well as perform kicks and splits. For the third cut, you will be taught a short Pom routine in front of the judges. You will perform both the Pom and Dance routine (possibly several times). For the final cut, a short interview will be conducted. Please dress in business attire and be prepared to present yourself in a professional manner. Please bring lots of fruit, snacks, and water for both days. We highly recommend bringing multiple forms of dance shoes. There will be a meeting for the newly selected Pomline Members immediately following auditions. 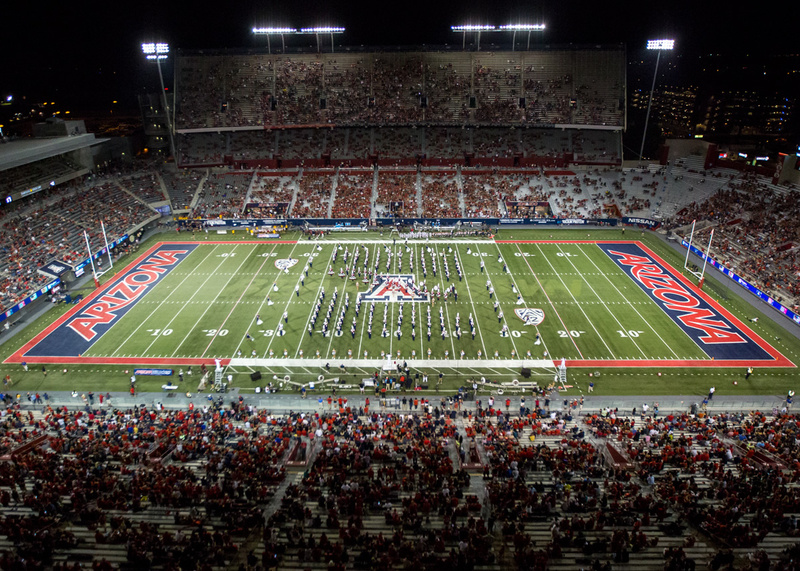 Pomline members must be back in Tucson to attend Pom Camp and Band Camp in the Fall. Exact dates will be announced and could vary slightly once the “Pride” Week schedule is finalized. Regular practices are MW 6:00 – 8:00AM, MWF 3:00 – 6:00PM and Saturdays 8:00AM – 12:00PM. These times are subject to change. If the line chooses to compete, it does not take precedence over our focus on UA performances. We expect that expenses for new line members could run $600 or more during their first year.